I have two previous desks post that can be found here and here, but today I thought I would a post on how to keep your desk organized. Something I always forget when my desk is cluttered is the fact that I actually love being able to work on a desk. Normally I work on my bed or couch, but working at my desk makes me feel so much more productive like I am a real person. 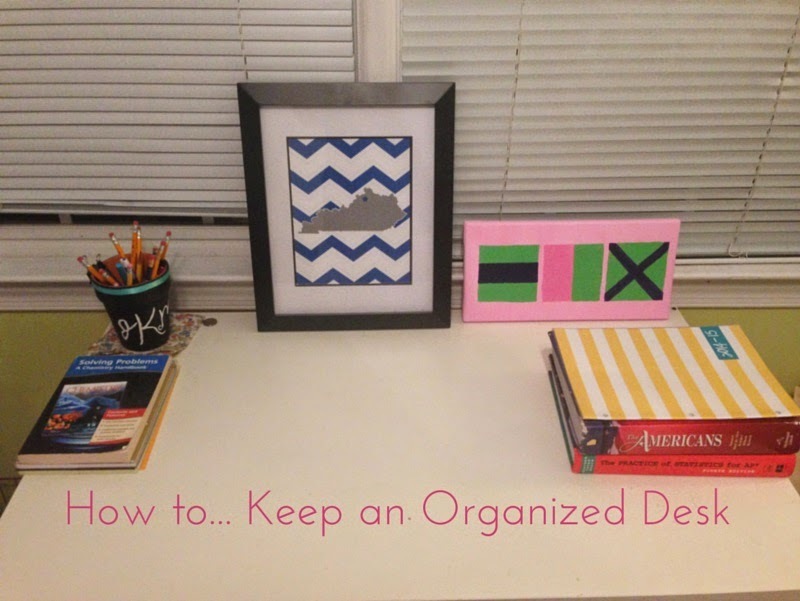 Here are my tips on keeping an organized desk! Actually Use It | The best way to keep a desk clean is to actually use the desk. If you're not using it regularly you know what you desk becomes? A stock pile. I mean, y'all aren't going to work on a messy desk are you? No. Want a clean desk? Use it. Last night I pinned so much desk inspiration, so you should check that out!